A cause and effect essay either explains why certain event happens (focusing on the causes), or what are the results of that event happening (focusing on the effects). You don’t have to cover both, the causes and effects. It’s up to you to decide which approach to take, explanatory or predictive. But before you start working on your thesis, you’ll need to define the effects you’ll analyze in your essay, the primary cause behind those effects, the causal chain leading to them, and the type of relationship you will establish between the cause and your thesis. To define the causes for your essay, ask yourself why this particular phenomena happens. If you need to figure out the effects of the problem, ask yourself what can happen as a result of this certain scenario. Define the primary cause without which the effect(s) would never occur. Also determine the additional causes which may result in the discussed effects, but their roots are in the primary thesis of the cause and effect essay. But essays of this type are not always about the causes. Sometimes they are rather focused on the effects of one single cause. If the focus in your essay is on the cause you should start with an introduction, where you’ll provide thesis and identify the effects, but keeping in mind the key question – what causes all this? Develop around the thesis statement and outline the body paragraphs. Discuss the causal chain either starting with the cause, or moving backwards from the effects to the cause. It’s very important to pay attention to the logical order of your presented arguments. Select either chronological, categorical, or order of importance, and follow the style throughout the whole paper. Present the causes in chronological order and without missing links. Apply transitions between the paragraphs like because, due to, as a result, etc. 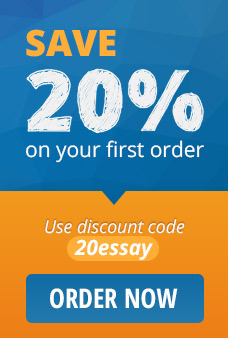 to analyze and connect the whole process while writing your essay. At the end, return back to the thesis and summarize the conveyed concepts into a conclusion. The key question in an effects essay is what effects result from the cause. The introduction paragraph contains the thesis and basis for effects and describes the primary cause. In the main body of the cause and effect essay discuss each effect and how it goes back to its root cause following the causal chain. Finish with a conclusion that restates the thesis speculating on the possible first causes that precede each effect.